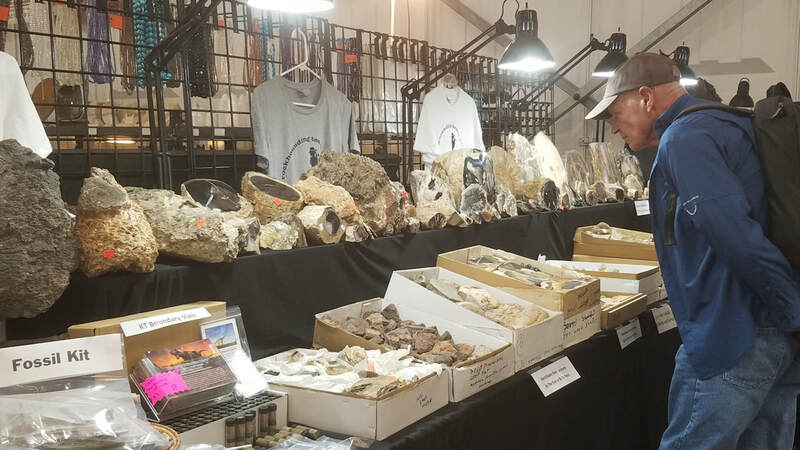 ​Another year for Jim and Beth in Tucson -- What an adventure this rock and fossil business (addiction?) is! 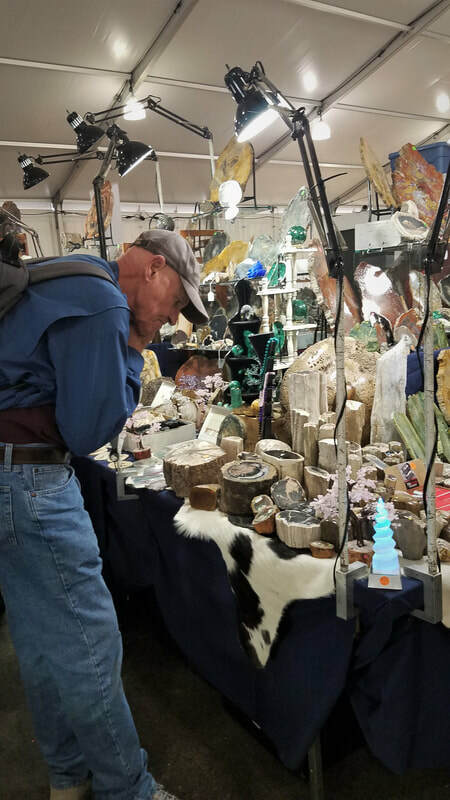 This is our 30th year visiting the International Tucson Shows, and what a privilege it is. Tucson is 700 miles from our home in Creston, California, and we are lucky to be able to make the trek each year for this extravaganza. Even the 2.5 weeks we spend in Tucson will not allow enough time to see all of these 46 venues! But we are trying to do our best, visiting the ones that showcase the fossils and minerals we all admire. We're happy to be able to share some pics of our time here at this extraordinary place ... and we will update occasionally throughout the show. 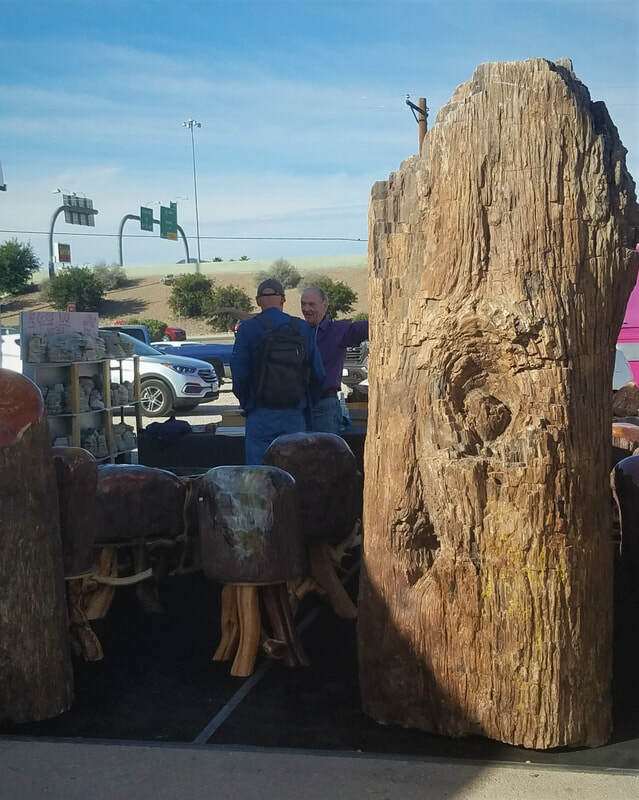 The 22nd Street Show at I-10 continues to amaze with the number of dealers and the quality of the inventory being offered. As an example, one of our dealer-friends at 22nd Street had this cycad with cones (seen right) at the show. $1500 will buy this beauty. The 300+ dealers are in a hardside tent that is 1/4 mile long, and spend 18 days selling here! 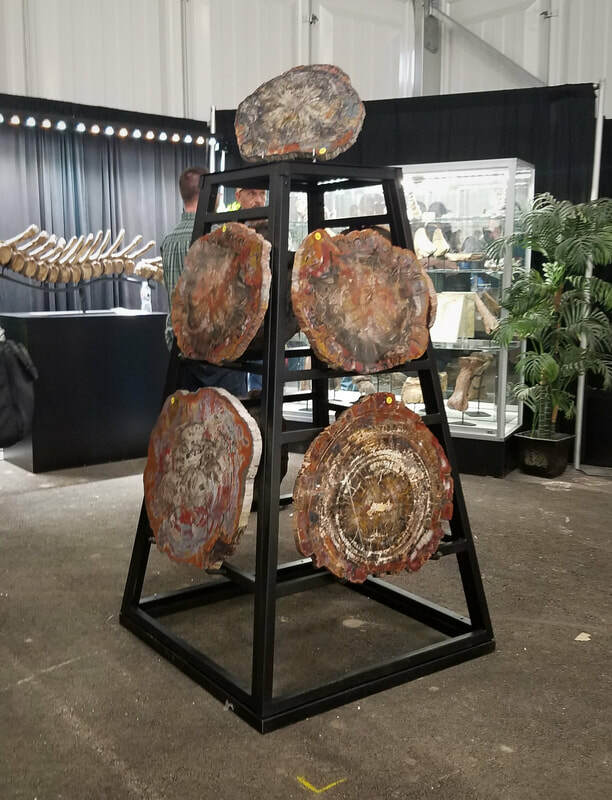 This is a long expensive show for dealers, but gives ample time for collectors and visitors to explore those 300+ dealers, offering everything from minerals, gems, fossils, dinosaurs, meteorites, jewelry, beads, and art. 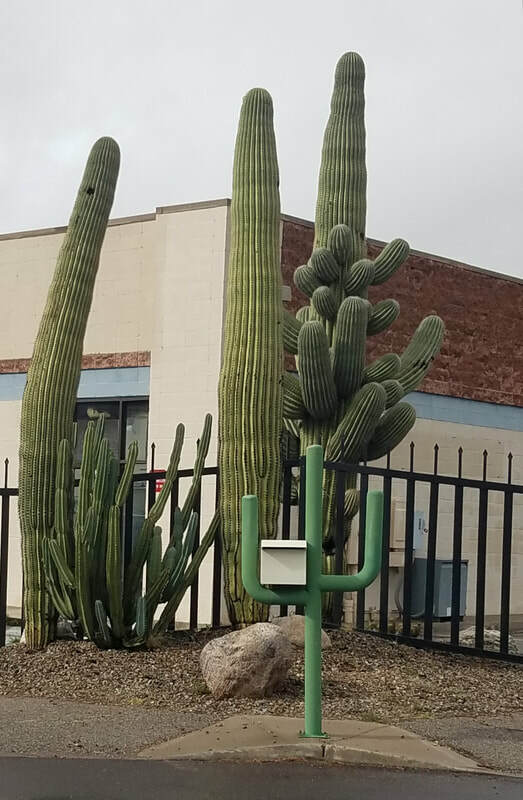 It truly takes more than a day to absorb just this one venue in Tucson. 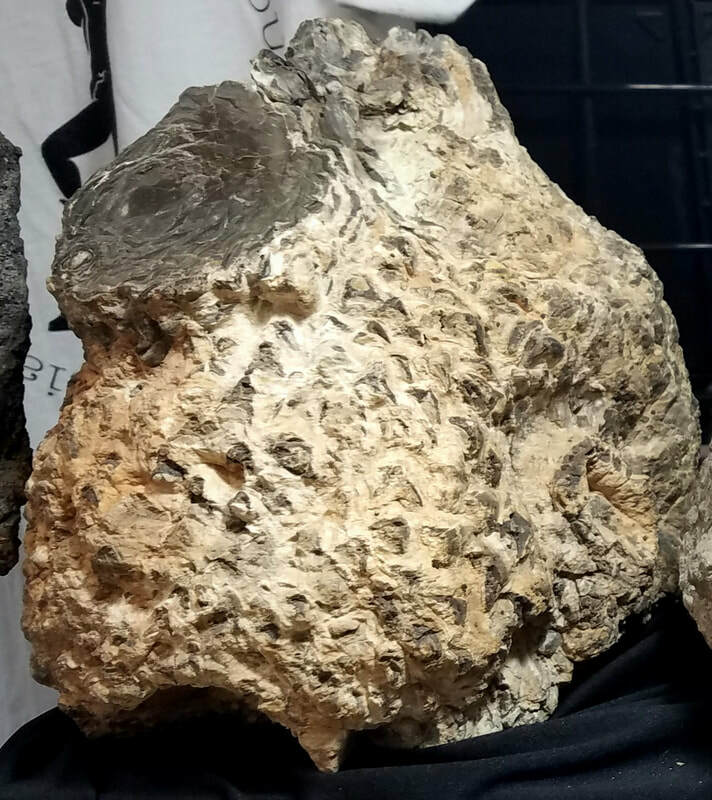 Somewhat surprisingly, there are more petrified wood sellers at this show than seen previously. 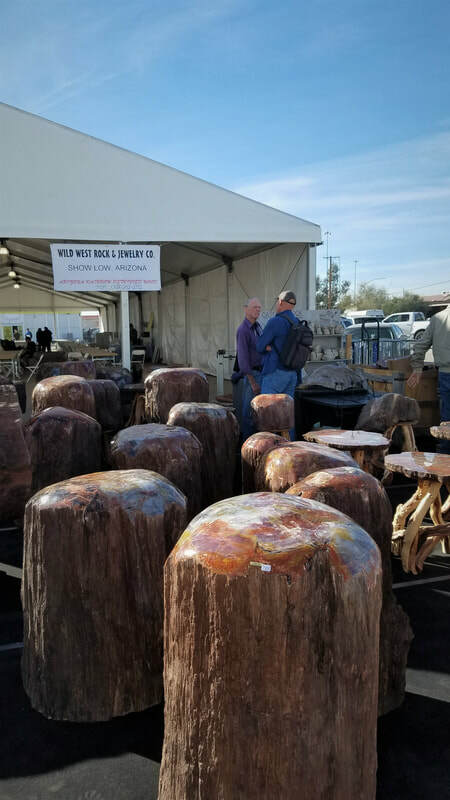 Jim visited with Walt Wright outside this huge tent show, and they are dwarfed by some of the standing logs -- as you can see in the pics below!